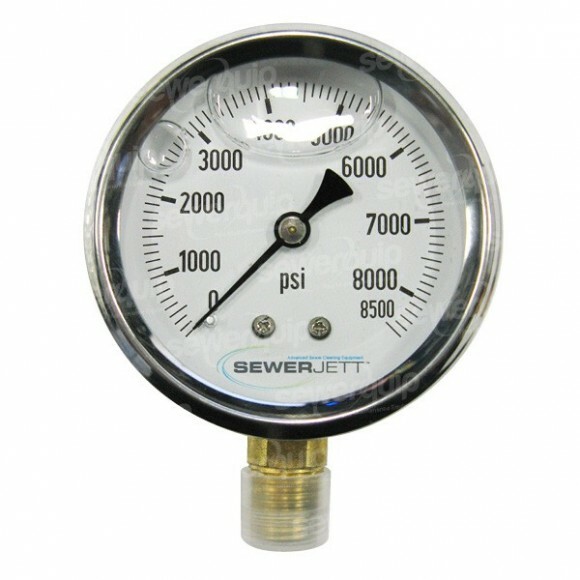 5000psi rated pressure gauge. 2" display 1/4" BSB. To suit all Sewerjett jetting machines.